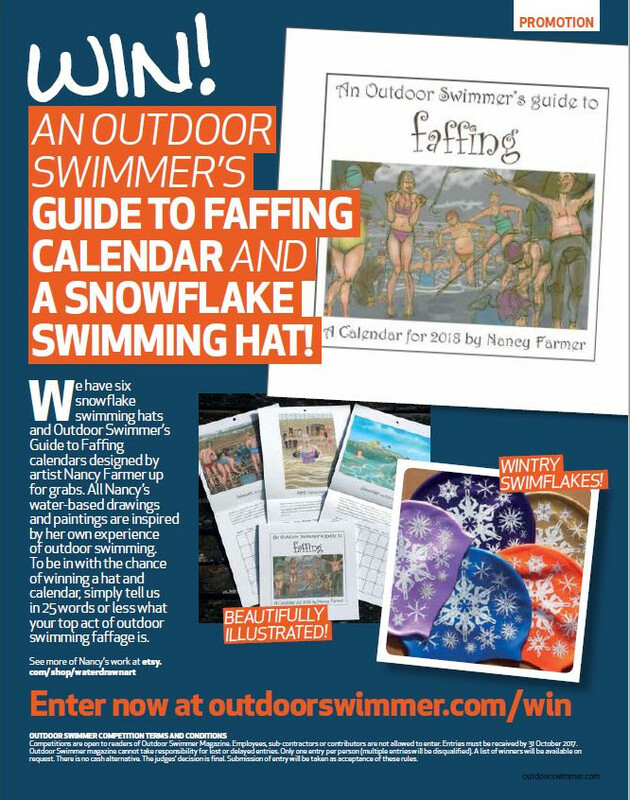 If you haven’t already bought one of my calendars or Swimflake hats (or if you want another) you might like to know that Oudoor Swimmer Magazine (formerly H2Open) are running a competition where you can win them. 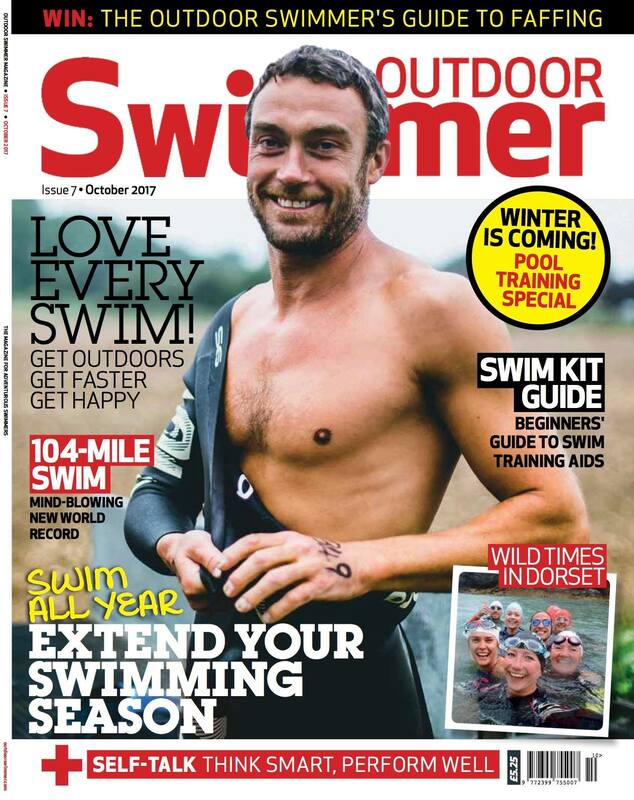 Simply tell them in 25 words or fewer what your favourite swimming faff is! …and if you don’t win, you can always buy them in my Etsy shop: www.waterdrawnart.etsy.com. I have run out of a few of the hat colours, and I have limited numbers of them coming in again in quite soon, so if you want me to email you when they are in again, please add yourself to the emailing list . This entry was posted in publications, Random stuff and tagged calendar, competition, Outdoor Swimmer Magazine, swimming on October 14, 2017 by Nancy Farmer.